MEMPHIS, TN — Ivi Wicks was 11 years old when she first learned that African Americans began celebrating Juneteenth two years after President Lincoln signed the Emancipation Proclamation, a historic document abolishing slavery throughout the Confederate South. Maggie Townes was seven when she was first introduced to Juneteenth. 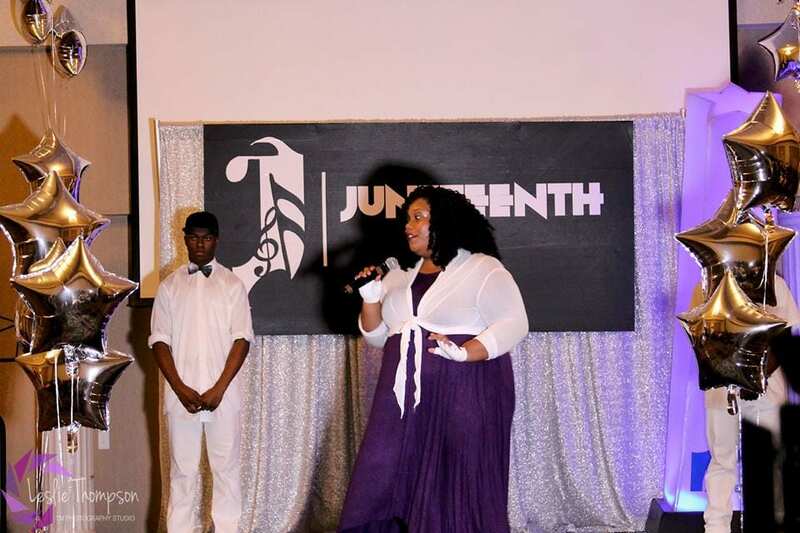 Now she’s 10 and still kicking up her heels, so to speak, as one of Juneteenth’s dainty little models that will perform on one of several stages. The celebration continues June 15-17 at historic Robert R. Church Park on “World-Famous” Beale Street in Downtown Memphis, where music will reverberate throughout the park. Wicks and Maggie will be present and showcasing their talents. Although music has been the epicenter of Juneteenth, there will be an outpouring of entertainment, food vendors, games, a car show, play rides and inflatables for the children, a jobs fair, a veterans’ 5K Walk/Run, and two awards shows taking center stage. More than 40,000 visitors near and far are expected to attend the three-day celebration. And just as many visitors – including a number of children – will learn for the first time about that sordid era comprising America’s history. “We recognize that our children need to learn about the history of Juneteenth and why we celebrate our freedom from slavery,” said Telisa Franklin, president/CEO of the Memphis Juneteenth Urban Music Festival, one of the longest running cultural festivals in Memphis for African Americans. “We also recognize that we have to acquaint children with the knowledge of our ancestors who died and fought valiantly to break the yoke of servitude in order that generations henceforth would take pride in their history and the future that they are shaping,” Franklin added. Although education is one of Wicks’ strong suits, “they don’t teach Juneteenth at my school,” she said. Wicks will be a senior at First Assembly Christian School, a private, college preparatory Christian school in Cordova. She is just one of many young people getting an education about Juneteenth outside a school setting. Singing is Wicks’ forte, including performing and choreographing an African dance number at this year’s youth talent showcase and awards. “Wakanda,” the homeland in Marvel Comic’s Black Panther, is the central theme. Wicks said her mother, Dr. Sharli Kay Adair, Juneteenth’s director of Operations, insisted that she learn the significance of Juneteenth and what it means for African Americans to be free. Wicks is ambitious and has kept her eyes on a set of goals. She plans to become an entertainment attorney and then return to college to study medicine. Even at such a young age, Maggie knows she is special and knows what she wants to do in her adult years – thanks in part to her parents’ tutelage and their embrace of Juneteenth. “I enjoy learning new things about Juneteenth,” she said. Maggie could take what she’s learned and apply it in a classroom setting some day once she’s certified to teach, which is her career goal. For now, she’s gung-ho about modeling. “We are revving up the festival this year with something for everybody,” said Franklin. On tap will be the show-stopping Juneteenth Evening of the Stars (a youth talent showcase and awards), the Memphis Juneteenth Lifetime Achievement Awards, the Ultimate Dance Showdown, a mobile outdoor educational museum, a Memphis Juneteenth Jobs & Career Fair, and Praise Fest at Memphis Juneteenth. Juneteenth is the mother lode of music and entertainment, she said.